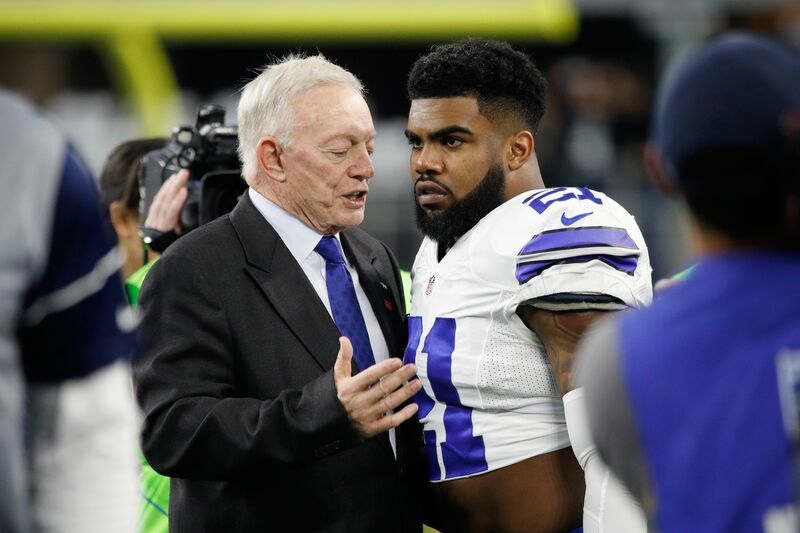 The NFL announced its suspension of Dallas Cowboys’ RB Ezekiel Elliott. Now, Elliot responds with a statement on Twitter regarding the suspension. The Dallas Cowboys found out that RB Ezekiel Elliott would be suspended for the first six games of the NFL Friday morning. It was a year-long investigation by the NFL, going back to 2016, when Elliott was alleged to have been involved in a domestic violence incident with his ex-girlfriend. There were no charges from the police, but the NFL laid down the law with the six-game suspension. Immediately after it was announced, many speculated if Elliott would appeal it. He had three days from Friday to do so, but looks like he’s going to appeal on Friday. I am both surprised and disappointed by the NFL’s decision today, and I strongly disagree with the League’s findings. I recognize the distraction and disruption that all of this has caused my family, friends, teammates, Dallas Cowboys’ organization as well as my fans – for that I am sincerely sorry. I admit that I am far from perfect, but I plan to continue to work very hard, on and off the field, to mature and earn the great opportunity that I have been given. Elliott seems to vehemently deny what the NFL said in its statement — which was that they have evidence from the accuser that there was an incident related to domestic violence. The Cowboys will be without Elliott for six games — for now. Their backup running backs include Alfred Morris and Darren McFadden. With heavy expectations this season on the Cowboys, QB Dak Prescott and the receivers will have to carry the offense without Elliot. I’m sure he’ll appeal and fight this all the way, but similar to Tom Brady’s situation, it may not be enough.